Non surgical treatments covers all the treatments that do not involve surgery. They are much less invasive and help to correct and treat skin imperfections. The effects of aesthetic medicine treatments are usually directly visible. They have limited side-effects and do not keep patients away from their social and professional lives. Cosmetic medicine helps prevent the first signs of skin aging such as brown spots, skin redness, fine lines and wrinkles. Dr. Amini individually and tailor-made defines with each patient the most appropriate aesthetic treatment strategy after the first consultation in his practice. 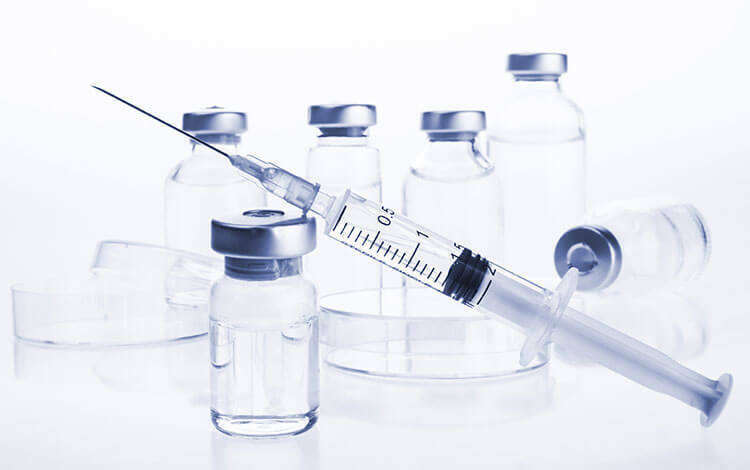 Botulinum toxin or Botox® injections is a great and easily performed treatment. It helps by preventing the expression muscles to move. When the facial expression muscles are relaxed the skin will be loosen and the fine lines and wrinkles will go away. Your face and skin will be smooth, rejuvenated and you will look fresh and natural. Another great use of the Botulinum toxin or Botox® injections is made for excessive sweating. By blocking the sweat muscles that are around the perspiration glands of the harm pits, the hands or feet Botulinum toxin or Botox® will help to avoid heavy sweating. Injections of fillers such as hyaluronic acid or calcium hydroxylapatite (Radiesse®) can correct the loss of skin volume and bring moisture to the tissues. Injection of fillers or fillers for skin hydration, volume correction (hyaluronic acid) and natural bio-stimulation of skin collagen (Radiesse®). Medical TCA based acid peelings are another simple and really effective skin treatment. With the right amount and the right concentration of the non-toxic TCA acid applied on the prepared skin it will greatly help a damaged skin. TCA peels could be applied on the face, hands or the décolletage for example. Usually repeated treatments are necessary to achieve the best result. Skin can be bio-stimulated by the patient’s own blood platelets. After having taken a small quantity of blood from the patient, the platelets or PRP are extracted and purified and then injected under the skin. Bio-stimulation of the patient own skin grown factors will help the skin to be younger and rejuvenated. Repeated treatments are mandatory for a maximal skin bio-stimulation.